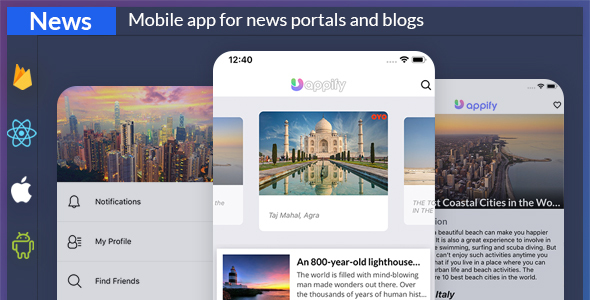 UniExpo – News App all in one solution that you can use to create stunning news app where your users can read and share your content. All the posts and app design is managed from the included fireadmin admin panel. This is cross-platform solution, based on React Native, so you get both Android and iOS app. As part of this app bundle, you also get the amazing Firebase Admin Panel ( 24$ of value ). This script is used as app admin for all the apps. From it, you will manage the app content, the app layout, and design, send push and manage orders.